Once you import one of our ready to use Exported Sliders, you will see that the fonts are loaded there. 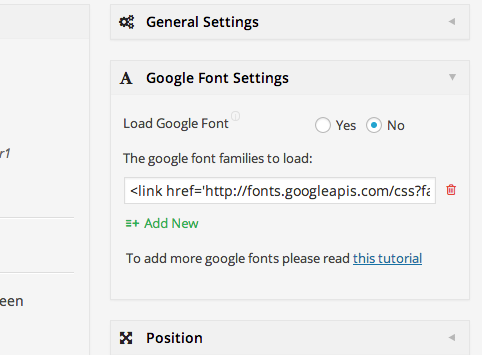 You can add your own google fonts in the Slider settings. Since we created the Examples based on Open Sans, we left the Ready to use Captions also with that Font Family. However, you can simply change / or load the fonts as you need. 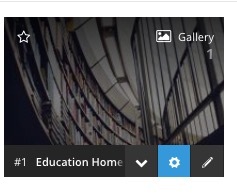 1) Plugin Conflict: There might be a 3rd party plugin conflicting with the Revolution Slider. You will need to disable all the 3rd party plugins except the Revolution Slider and if you use X the Cornerstone and test to see if it fixes the problem. 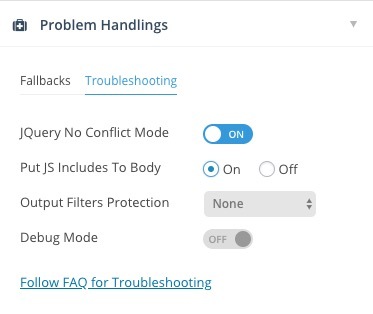 If the problem is fixed you will need to activate the plugins one by one and test the case to find the one which is causing the problem and avoid using that. If you still are experiencing the problem you'd better check the official documentation of the Revolution Slider here. You will need to check the result on the front end of the website. For more information check this announcement regarding the case. If you still have problems with the Revolution Slider we suggest that you open up a support thread here and our awesome support team will be there to help you find the problem cause.